Isle of Dogs (2018). Film review of the dazzling, stop-motion animated tale. Film review by Jason Day of the movie Isle of Dogs, the Wes Anderson directed animated fable about a little boy searching for his beloved guardian dog on an off-shore island inhabited only by canines. Spots (voiced by Liev Schreiber) is a guard dog assigned to protect Atari (Koyu Rankin) the orphaned nephew of the Mayor (Kunichi Nomura) of the Japanese city of Megasaki. The two get along famously, but the Mayor loves cats and hates dogs. When a small number of dogs develop a canine flu that scientists think might pass to humans, the Mayor orders all dogs are sent to a remote island used to dump rubbish. Spot is soon shipped off but Atari loves him and steals a small jet to rescue him. When he crash-lands, a motley group of mutt migrants take him under their paws and the group start an odyssey through the garbage to reunite boy and dog. It’s always wonderful to see parallels to current news stories in movies that have been planned, developed and most probably filmed and edited many months prior. There’s a sweet topicality to this latest Wes Anderson whimsy then about Windrush migrants having their nationality questioned by the British government, a government and country those migrants left their homes to help in the economic fallout of WWII. Here, Spots and his peers are unceremoniously booted out of the home that they have loyally served and/or entertained when the political landscape changes due to a trumped up virological charge. Spots, in fact, is literally taken out with the trash. Do we do this our fellow man by extension, then? For Isle of Dogs, the answer is a resounding yes and there are further comparisons here with other big, continental political crises: Brexit and the sands that shift on a weekly basis in North Korea. 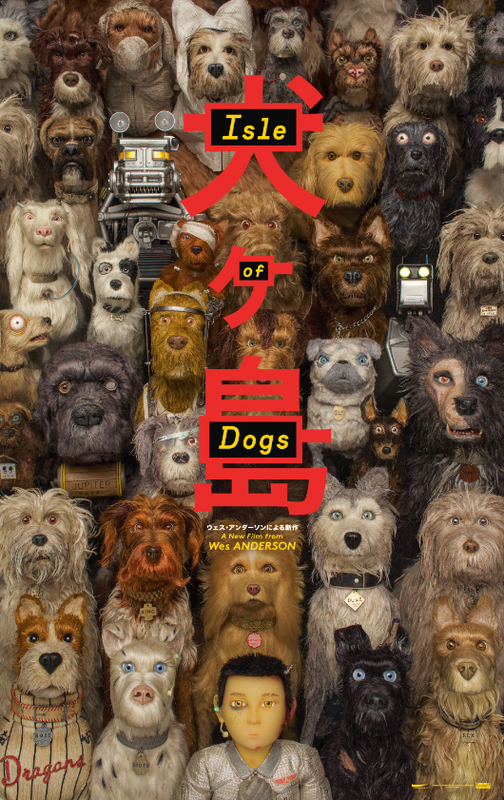 One thing at least that can be easily agreed upon about Isle of Dogs is that you know you are watching, or going to watch, an Anderson film. His visual style, using a broad and strong colour pallet and a focus on textures, concentrating on unusual family structures and dynamics in stories that rely on a seemingly never-ending cast of quirky characters mostly portrayed by starry casts, instantly ring the ‘Anderson alarm bells’ for any critic or discerning audience member. The unmitigated joy that all people will agree with in Isle of Dogs is the unimpeachably great quality of the stop-motion animation. Right down to the rustling of the dogs’ hair in the breeze to the fleas that live there, the detail is stunningly realised. Evident, too, is Anderson’s penchant for eye-popping, dazzling colour schemes in the production design, vivid, fluorescent colours in some scenes, a kaleidoscope for the glass refuge on the dogs’ island and then muted, bland, emotionally barren beiges for Atari’s home. Worth noting too, is the beautifully detailed posters for Anderson movies, often works of art on their own, signal even to a non-critic that something good from a familiar hand is available to see. He also continues to employ a starry cast of what is by now a firmly established repertoire company of actors, often in the smaller of roles (ahem, Tilda Swinton, who says only a precious few words, voicing a clairvoyant Pug). What the film lacks, and it might be I feel this because I am not au fait with Anderson’s oeuvre, is something swift, witty and smart to run alongside the inventive story and visual style, something to really grab the attention. The deliberately contrived and artificial vocal delivery of the actors, annoying pauses then, suddenly, bland and routine acting unsettled me, and not in the way that usually makes me pay more attention to what I am seeing and listening to. I found it almost impossible to really ‘enjoy’ this movie. I was disengaged and, in all honesty, because of this wanted it to end…fast. But for Anderson aficionados, and I know there are many out there, this will dazzle and delight in equal measure. Producers: Wes Anderson, Jeremy Dawson, Steven Rales, Scott Rudin. Sets: Douglas Aibel, Adam Stockhausen. 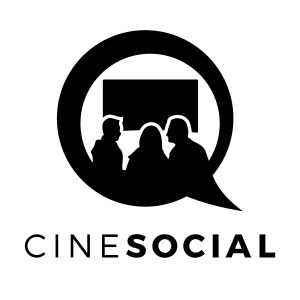 Bryan Cranston, Koyu Rankin, Edward Norton, Bob Balaban, Bill Murray, Jeff Goldblum, Kunichi Nomura, Akira Takayama, Greta Gerwig, Frances McDormand, Akira Ito, Scarlett Johansson, Harvey Keitel, F. Murray Abraham, Yoko Ono, Tilda Swinton, Ken Watanabe, Mari Natsuki, Fisher Stevens, Nijirô Murakami, Liev Schreiber, Courtney B. Vance. Get Out (2017). Disappointing, cliched horror about an interracial relationship.